Michael Applegate’s Special Recognition Award is for volunteer maintenance at Laurel Hill Park. His average 30 hours per week includes moving, trimming, clearing invasive vines, repairing storm drainage, and improving trails. This Mid-Atlantic Off-Road Enthusiasts (MORE) member built ramp curves and moguls to enhance the mountain biking experience. Michael inspired Laurel Hill Park Volunteer Team to host clean-up efforts that make a notable difference. Maggie Godbold honors Anthony Consumano with an Elly Doyle Special Recognition Award for the success stemming from his grassroots efforts to benefit Cub Run Stream Valley Park. He engaged more than 100 park users that formed an active Park Volunteer Team. The team participated in six park clean-ups and established a mission to preserve, share and connect. He also raised funding for Trail Building and Care through the Park Foundation. See Michael Applegate, Anthony Consumano and other 2018 Outstanding FCPA Volunteers. The Commission for Accreditation of Parks and Recreation Agencies (CAPRA) accredited Fairfax County Park Authority for meeting all 151 rigorous standards related to the management and administration of lands, facilities, resources, programs, safety and services. This is the third time FCPA received this prestigious accreditation. On December 4, 2018, the Fairfax County Board of Supervisors presented a resolution to the Parks for this achievement. 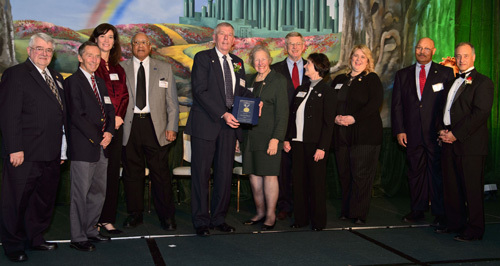 Fairfax County Park Authority’s Resource Management Division, which oversees the Park Authority's Historic Artifact Collections and Archaeological Collections, celebrated AAM recognition. 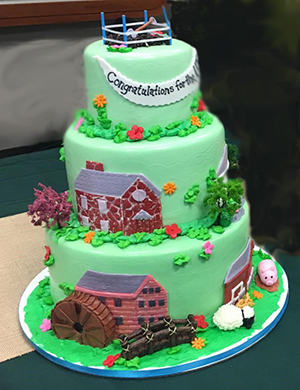 Reaccreditation for Park Foundation supported Sully Historic Site, Colvin Run Mill, and Green Spring Gardens and the first-time accreditation for Frying Pan Farm Park demonstrates our assurance that FCPA will continue to preserve and protect Fairfax County's important heritage. 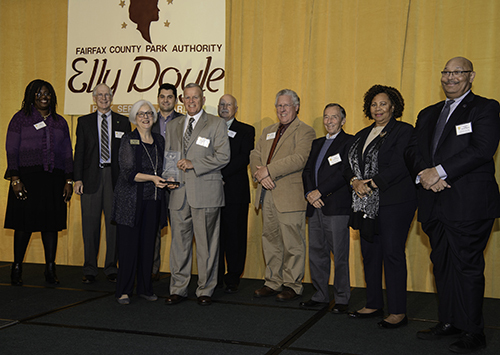 Fairfax County Park Foundation Director, Harry Glasgow, was honored as recipient of the 2016 Sally Ormsby Environmental Stewardship Award for years of dedicated service to Huntley Meadows Park. Howard Albers was honored as the Park Foundation’s Outstanding Volunteer of 2016 for his work in Research and Communications. 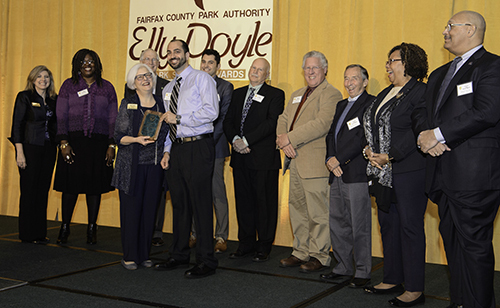 Fairfax County Park Authority, with support from the Park Foundation, is honored with two NRPA awards in 2014. Excellence in Inclusion Award – Best practices in providing scores of recreational and leisure opportunities for people of all abilities. Kudos Marketing Piece Award – Partnership in Preservation social media online voting campaign that raised $75,000 to renovate Colvin Run Mill. 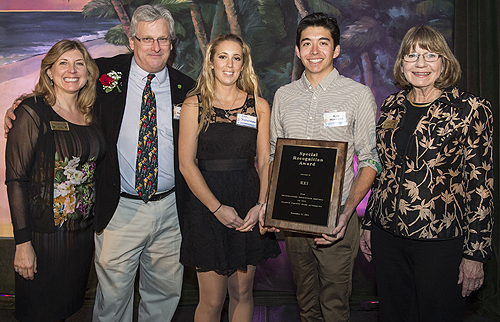 Elly Doyle Award Recipient 2014 - Recreational Equipment, Inc. Recreational Equipment, Inc. received Special Recognition award for an ongoing partnership with the Park Authority’s Invasive Management Area program. Beyond the greatly appreciated monetary support to the Park Foundation, REI employees, such as Kyle Wakayma, volunteer to remove invasive species which assists in the habitat restoration of parkland. Howard Albers' goal as a volunteer consultant with the Fairfax County Park Foundation was to find new sources of funding for park programs and facilities not supported by taxes or fees. He is a very capable grant writer and has prepared nearly $600,000 in targeted grant requests. His efforts resulted in $200,000 in funding for Chessie's BIG Backyard accessible playground. His work also contributed toward funding for the 88th Amateur Public Links Golf Championship and Take 12! Steps for Health outreach initiative. Tony Vellucci honors Lydia Patrick with an Elly Doyle Special Recognition Award (right) in honor of pro-bono work by her company Webclearly to improve the Park Foundation website and social media. Ken Quincy, Bill Bouie and Frank Vajda join in to represent the Park Authority Board. 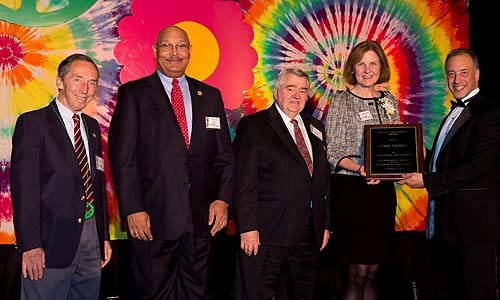 While it is uncommon for a park systems to receive multiple NRPA recognitions in a single year, the National Recreation and Park Association presented 5 awards to Fairfax County park initiatives in 2011! Aquatics International honored Fairfax County Park Authority with both Best of Aquatics and Best Overall Commitment to Aquatics. Our Special Harbor at the Family Recreation Center at Lee District Park was featured in the award as a ". . . fully accessible outdoor spraypark . . ."
Presentation of the Fairfax County Park Authority's 2010 Gold Medal Award from the National Recreation and Park Association for excellence in park and recreation administration to the Fairfax County Board of Supervisors. 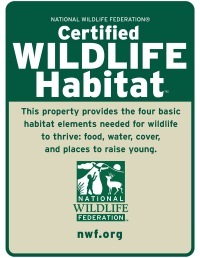 Fairfax County received the National Wildlife Federation's certification and award as a Community Wildlife Habitat. The Greater Mason District Area in the county is the fourth largest CWH in the nation. Hidden Oaks Nature Center at Annandale Community Park, Green Spring Gardens and Mason District Park are all included in the certified area.